This smash off-Broadway hit takes you to the 1958 Springfield High School prom where we meet Betty Jean, Cindy Lou, Missy, and Suzy, four girls with hopes and dreams as big as their crinoline skirts! As we learn about their lives and loves the girls serenade us with classic ‘50s hits including “Lollipop,” “Dream Lover,” “Stupid Cupid,” and “Lipstick on Your Collar.” In act two, the Wonderettes reunite to take the stage and perform at their ten-year reunion. We learn about the highs and lows the girls have experienced in the past decade and are charmed to find that no matter what life throws their way, they will conquer it together. 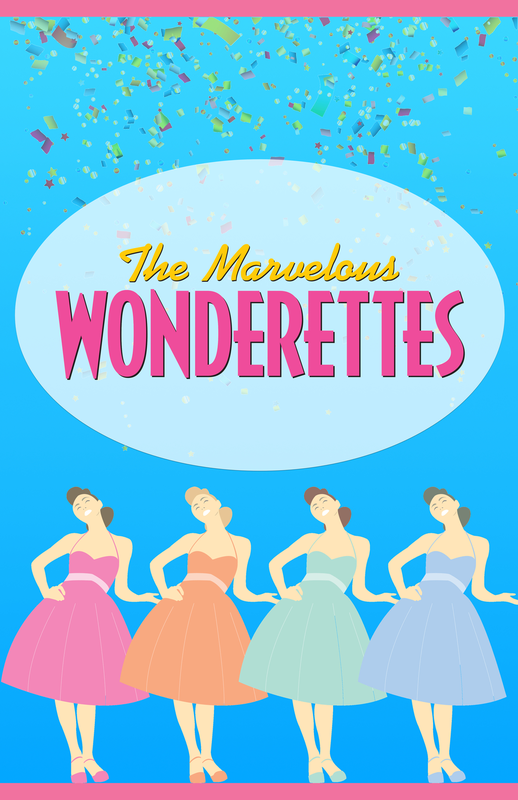 Featuring over 30 classic ’50s and ’60s hits, The Marvelous Wonderettes will keep you smiling in this must-take musical trip down memory lane!